If you are facing criminal charges and are looking for legal representation, it may be difficult to ascertain which lawyers are best qualified and capable of defending you. The attorney you choose will heavily impact your current and future life. Reputable attorneys typically offer an initial free consultation to allow you a chance to ask questions and establish a relationship before making a hiring decision. Feeling comfortable and understood is really important. A good lawyer is one who allows you to ask as many questions as necessary so that you can be comfortable in making your decision who to hire. Lawyers are referred to as “Attorneys and Counselors at Law” for a reason. Your attorney is not being hired to simply fill out forms and stand next to you in court. He or she is also supposed to be your counselor and advisor. At any stage in the proceedings you should feel comfortable asking advice regarding any issue that comes to mind regarding the case. A good lawyer will make you feel comfortable asking questions and talking about the case. It is crucial that you hire a lawyer who has experience handling the type of criminal case you are facing and that he or she specializes in criminal cases. The last thing you want is a general practice lawyer or someone who handles various areas of the law (like divorce or real estate for example). Just as you would not want to have heart surgery performed by a general doctor, you do not want to hire a lawyer for a criminal case who handles cases in more than one area of the law. You should ask the lawyer if he or she has practiced in the court where you are charged. Familiarity with the judges and court staff can only help in your case. Additionally, you will want to ask the lawyer about how many years of experience they have handling felony and misdemeanor charges. The lawyer’s experience and track-record should be important to your consideration. A good clue to determining if a criminal lawyer is good at what he does is the percentage of his cases which are referrals from former clients. A former client will not refer someone to their former attorney if they were not happy with them. If a criminal lawyer gets a large percentage of his cases from former client referrals, that is a good sign that the lawyer did a good job on those cases, and very well may do a fine job on your case. One of the best ways to see if a lawyer is any good is to look for that person’s online reputation. Google the lawyer’s name and “client reviews” and see what previous clients have posted about him or her. You should also research the lawyer’s firm and see what the firm’s reputation is online. What are the warning signs of a bad lawyer? An attorney is ethically prohibited from promising you that he will get a certain resolution in a case. Any lawyer who makes guarantees regarding the outcome of your case is unethical and he or she understands they are doing something wrong. Promising you a certain outcome is not only unethical, it is actually a lie to you. Another basic warning sign is if the lawyer appears distracted or disinterested in what you say to him or her, or focuses primarily on the fee and how and when you will pay it. You should have the lawyer’s absolute undivided attention. If a lawyer is any good, he or she will be a great communicator. Communication is key. Throughout this process, you will most likely have more contact with your lawyer than anyone else. A lawyer must be in close communication with you and your family. Ask at the beginning of the relationship by which means and how often he or she will communicate with you. LEWIS & DICKSTEIN, P.L.L.C. 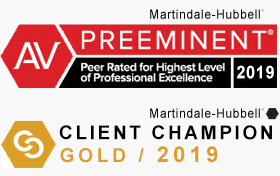 is one of Michigan’s most aggressive and relentless law firms with attorneys who work tirelessly on behalf of their clients and ensure strong communication and trust throughout the entire process. When you meet with a criminal defense attorney, make sure you ask all of the questions you have. Chances are, your instincts will tell you when you are talking to someone you can trust. Listen to your common-sense and follow the advice above, and chances are you will end up hiring the right lawyer for you. The Defense Team with LEWIS & DICKSTEIN, P.L.L.C. 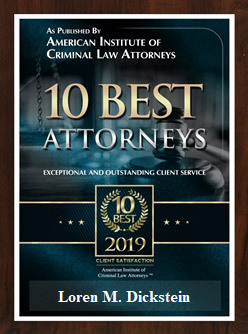 has decades of experience successfully defending clients charged with felony and misdemeanor offenses throughout Michigan. Please call us today to set up a free consultation at (248) 263-6800 or complete a Request for Assistance Form and we will promptly contact you. We look forward to meeting with you and demonstrating for you what great criminal defense lawyers do to protect and defend their clients!